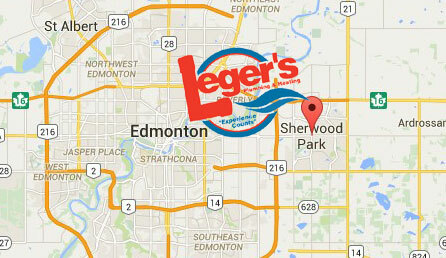 For over 35 years Leger's Plumbing and Heating has provided 24/7 emergency plumbing service for the residents of Sherwood Park, AB. Broken heaters in the dead of winter, pipes that unexpectedly burst, air conditioners that just give out, plugged drains, constant grinding, hissing, or banging noises. We’ve seen it all and a bit more, our job is to get your emergency controlled immediately and if we can, we’ll fix it.